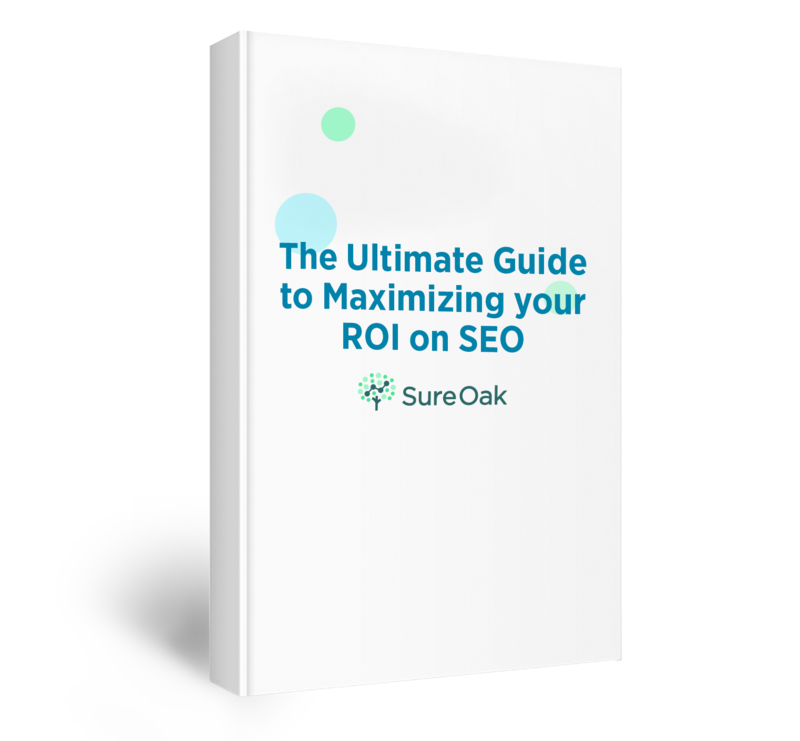 While a well-conceived SEO strategy can be the pathway to optimal growth for your company, tracking your journey along the way can be a difficult task. Obvious results often only rear their beautiful heads far down the line. The result is many people steer away from their SEO efforts too soon, believing they are not bearing sufficient fruit. Before you become one of those people, pause for a moment. Ensure that you are looking in the right places for results. Particularly when an SEO strategy is in its infancy, your efforts may not immediately translate to a well-fed bottom line. This can leave your SEO journey feeling like a long trek down a dark road — and that means it’s time to fire up the right KPIs as your guiding lights as you move along the way. But what are the metrics that you should be monitoring to ensure your resources are indeed being filtered correctly? How can you know for sure that you are steering yourself toward optimal (and sustainable) growth? To understand how to test your SEO efforts, you have to work backward. Look at the success of what you are putting in to see if each element is strong enough to hold up your overall strategy. The building B.L.O.C.K.s of your SEO strategy are its foundation — the key elements where you should focus your attention. If they are working, you can rest assured that growth is on the horizon. What are these B.L.O.C.K.s made of? Let’s take a look. Ready to explore your SEO key metrics? So are we. A successful SEO strategy cannot exist without careful attention to backlinking. The saying, “You are the company you keep,” has never been more appropriate than it is to the world of search engine recognition. Search engines want to know that other people think what you are doing is valuable. How many sites have linked to you. While this is key, be warned. Simply linking to everything you can lay your digital paws on is not enough, and that’s because of the next item on this list. Who is linking to you. Yes, you do want experts in the field over a ten year old who created a school project online. The relevance to your content is also of utmost importance. The links have to be naturally tied to the world of your content. How many links you have in total. Again, this is not as simple as gathering as many links as you possibly can. Search engines appreciate a strategy that includes links from multiple sites. They want to see a web of the most pertinent relationships growing around you. TIP: Two useful platforms for tracking backlinks are Ahrefs and, of course, Google Analytics. These tools make it very easy to monitor who you are linked to and how many times you have linked to each party. Ah, lead generation tracking — that Top of the Funnel conundrum that has been troubling marketers for generations. How do you effectively monitor whether interest has manifested in your product? If you can’t track this effectively, how can you ever assume to move those leads into paying customers? Luckily for us, the digital world offers us various ways to monitor whether we are enticing people with our efforts. It’s important to note that leads mean different things to different businesses. In the digital realm, generating leads generally involves potential customers handing over some of their details because your product or service has piqued their interest. This is usually in the form of, well, a form. What form! And this is where Google has done wonderful work to make the job of tracking lead generation that much easier. Google Tag Manager allows you to set a trigger that will track when a form is completed and submitted. The platform is intuitive and no expert code knowledge is required. Yes, organic traffic is at the heart of SEO. It is the very thing you are striving for. It’s no wonder then that it is a KPI of your optimization efforts. But how do you track whether people are flowing to your site without financial cajoling? Once again, the digital world has provided us with more than enough online gadgets to make this task easily accomplishable. Google Analytics allows you to quickly see who has reached your site, and through what means. TIP: The results you get for your organic traffic will be based on sitewide data, but it’s not enough to stop there. Track your traffic through various criteria, such as by landing page and location data. That way, you can get detailed, valuable information about where your traffic is coming from, and where you need to focus your efforts. You know the saying — you can lead a horse to water but you can’t make it drink. If your SEO efforts are leading to a team of equine beasts refusing your liquid, it’s time to consider whether you are attracting the right horses. This is why it is so vital for you to monitor the conversion rate of your organic traffic. Google Analytics steps up to the plate once again to make this easy for you. To make the data you are privy to have meaning, it’s imperative that you go further in depth than one simple figure. You can gain insight by understanding which browser and device your potential customers are using. You can see if their location has anything to do with their willingness to convert to paying customers for you. TIP: While you’re looking at conversions, it’s necessary to have a look at bounce rate too. Are people arriving at your site and immediately searching for the EXIT sign? If so, figure out what is leading them away. Trusty old Google Analytics can help you work this out. Since the first moment the acronym SEO hit your ears, you have more than likely been hearing the tinklings of the importance of keyword ranking. Getting your keywords to the top of the pile is an uncontested objective of any SEO strategy. How do you know if you’re measuring up? There are various platforms available that allow you to do in depth keyword research into both the efficacy of your own keyword ranking strategies and those of your competitors. Some of our favorites include SEMRUSH, Ahrefs and, of course, Google Keyword Planner. By going in depth into the building B.L.O.C.K.s of your SEO strategy, you will be given key measurements of your performance. But here’s the clincher. Measuring data is one thing. Interpreting those metrics effectively is at the heart of an effective use of KPIs. Ensure that you feed your findings back into your strategy for optimum results. Lastly, don’t give up on your SEO efforts. You will reap rewards if you pay attention to what is working. If you need our help, give us a call. We offer a free strategy review. That’s right — we’ll measure your building B.L.O.C.Ks, analyze what is working and what, well, needs to get the chopping BLOCK.